Vans AV Rapidweld Pro Lite dropped this spring in an entirely animal-free line! 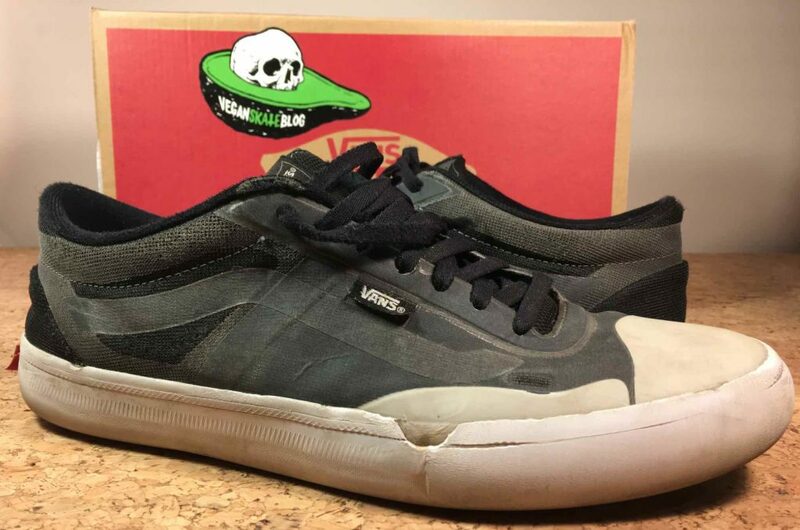 An update to Anthony Van Engelen’s line of pro model shoes with some truly durable material! 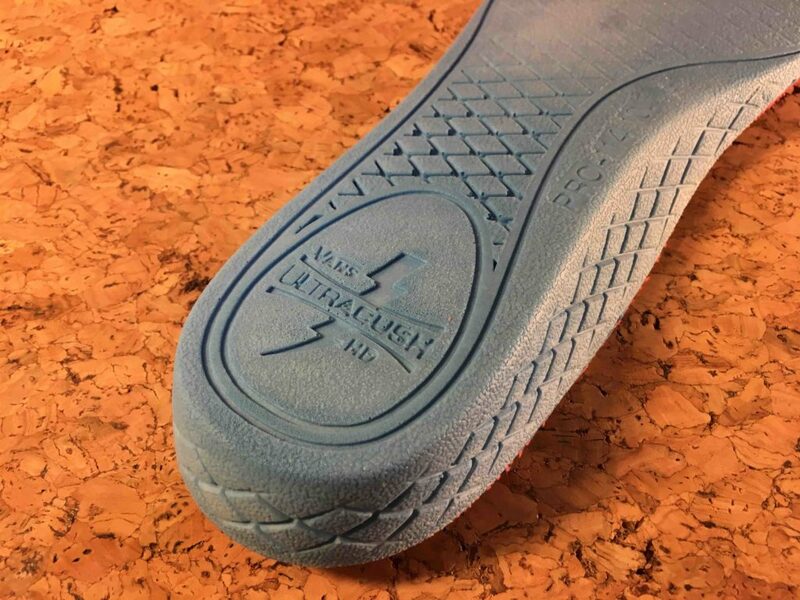 The Rapidweld is a heat fusing technology that leaves no visible stitch lines on the upper of the shoe. Duracap is a rubber reinforcement that on some models is under the most outer layer of material. In the AV Rapidweld Pro Lite however, the Duracap is featured on the outside. Available in two colors for spring, there are two more for fall. All four utilizing the same material and construction. 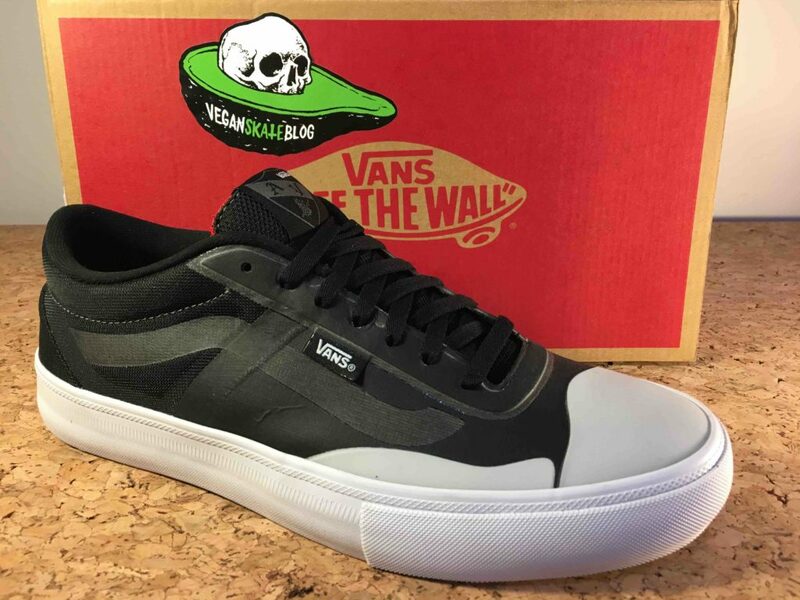 We should mention on Vans site, the “Lite” model is not made with suede. This has been confirmed with the design team, but marketing didn’t give the message. Fresh out of the box, the Vans AV Rapidweld Pro Lite is clean looking but the toe caps are were your eye goes. The toe cap has caught on in a big way in skate shoes even though its been prominent since the early days of Chuck Taylors. These aren’t a soft rubber like chucks. They’re somewhat slick to the touch. Just like the polyurethane coated mesh that forms the rest of the shoes vamp. The shoe is an instant fit, true to size at 10.5 and wide in the toe. A good fit in both the front and heal! 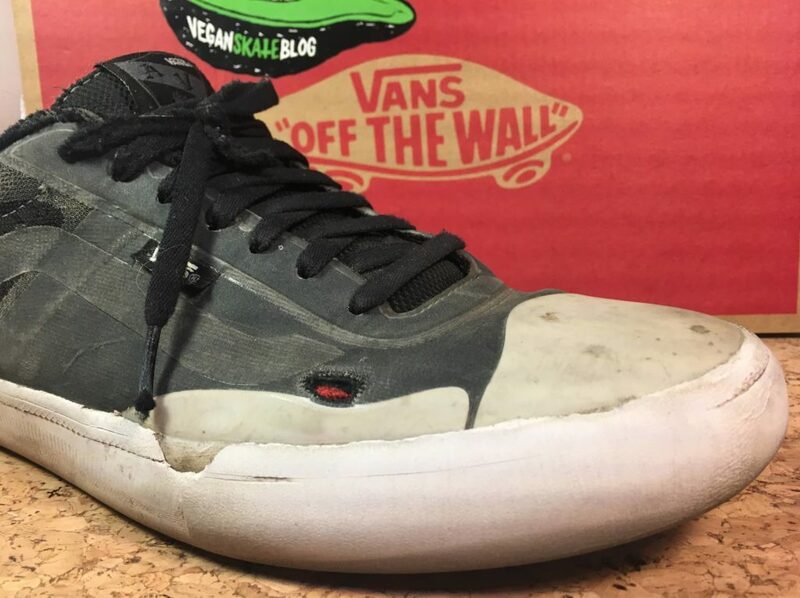 A close look at the ollie area and more of the vamp gives an idea of what the AV Rapidweld Pro Lite is made of, though it still seems mysterious. It feels like a rubber coated paper, something that has been crushed and compressed. The shoe is super light weight as the name suggests. 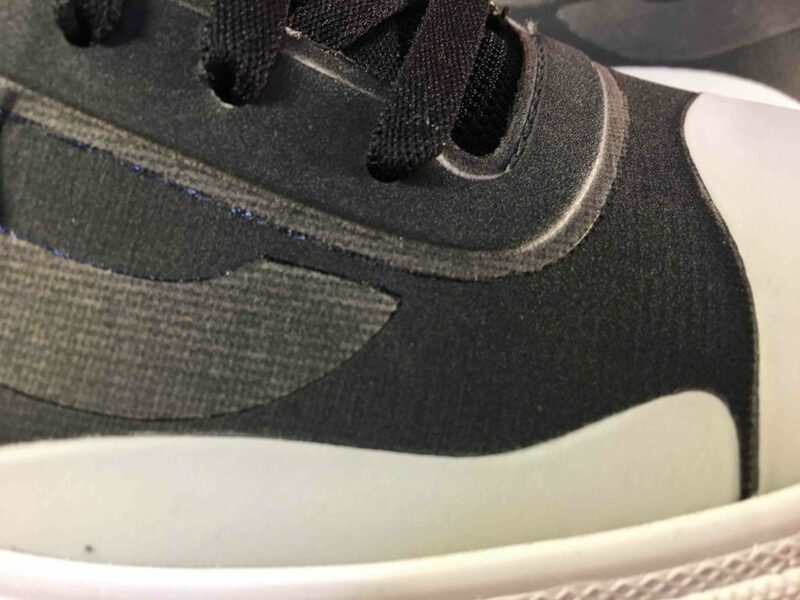 The back quarter of the shoe is almost entirely mesh, with a reinforced heal cap. The padding is medium weight so while there isn’t a huge amount of ankle protection, it’s got a little more heft then most skate shoes. 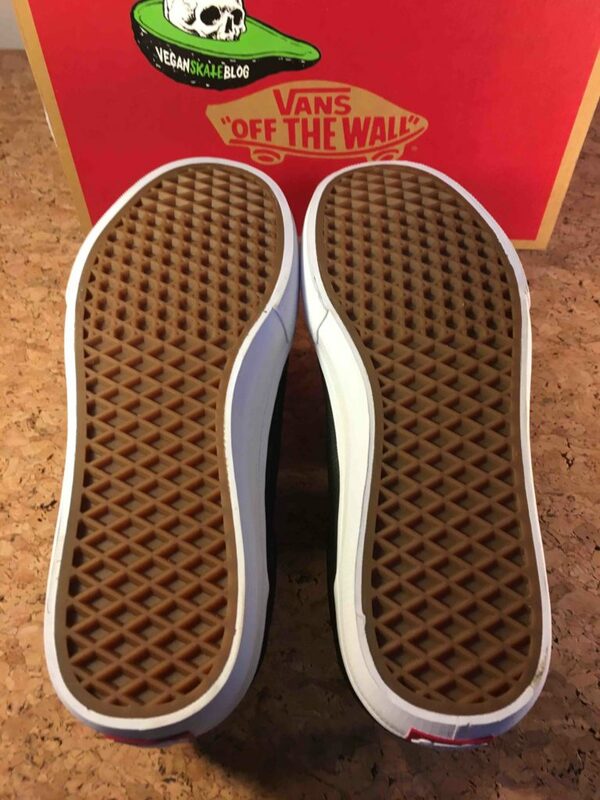 An extra thick line of textured foxing tape is there like all of Vans’s Pro shoes, and they almost last as long as the ollie and flip trick area! Kind of a reverse of what you’d expect from your standard skate shoe. 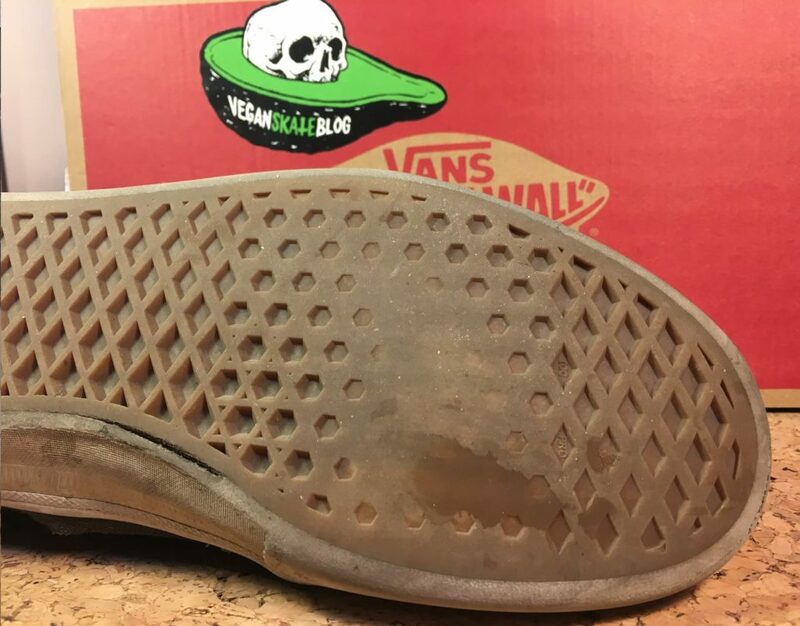 Traditional Vans Waffle sole look. Nothing new to see here, but as for how they hold up, that they might be. The Pro line models also feature this super cushioning insole! Heals rejoice! The all mesh tongue certainly adds some ventilation to the shoe. The tongue is also held in place by sock liner that keeps the shoe pretty damn snug. Nice for a shoe that is a little wider in the toe! So how did the shoe measure up? A profile after 6-weeks of skating. 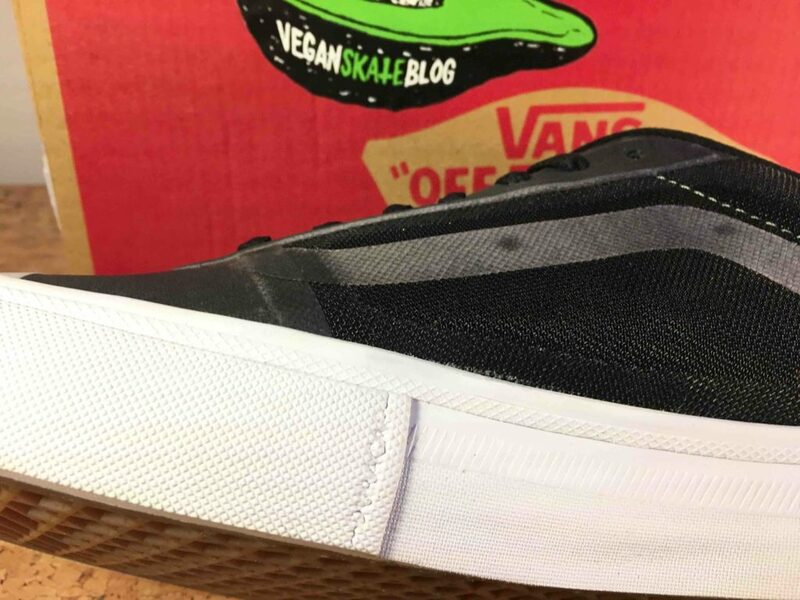 The only “destroyed” part of the shoe is the laces of the front (ollie side) shoe and a little bit of foxing tape. 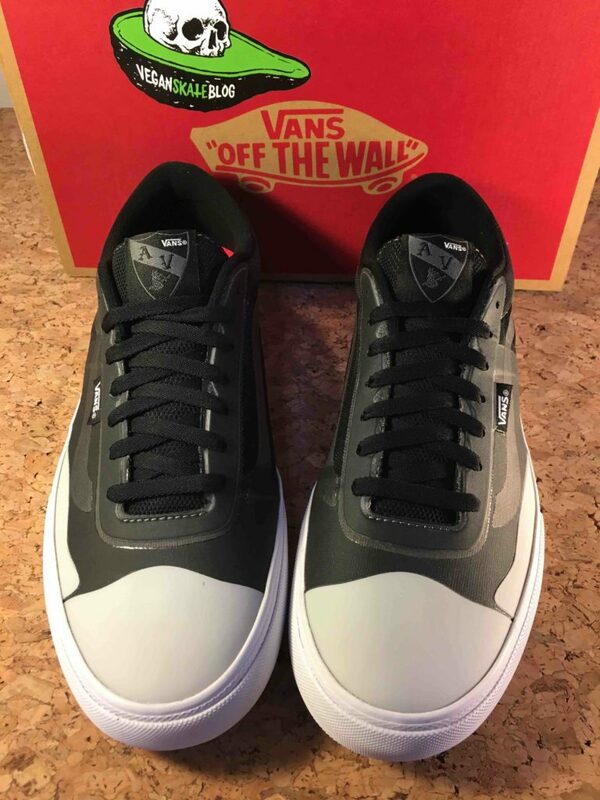 A little bit of scuff at the top of the collar and some dirty mesh on the back make the Vans AV Rapidweld Pro Lite un-presentable for weddings and other fancy gatherings but they still have a TON of skate life left in them. You can barely see the ollie patch, so lets zoom in. The polyurethane coating is coming away and you can see the woven material underneath, but its holding strong. A hot spot around the ball of the foot has worn but plenty of grip left in these! Fast-forward to six weeks of skate wear and a hole has formed in the ollie area. The red is the sock liner, which even after this photo was taken continues to hold up in skating. (No holes in the socks just yet) The foxing tape is totally worn smooth, but has a good bit of life left. 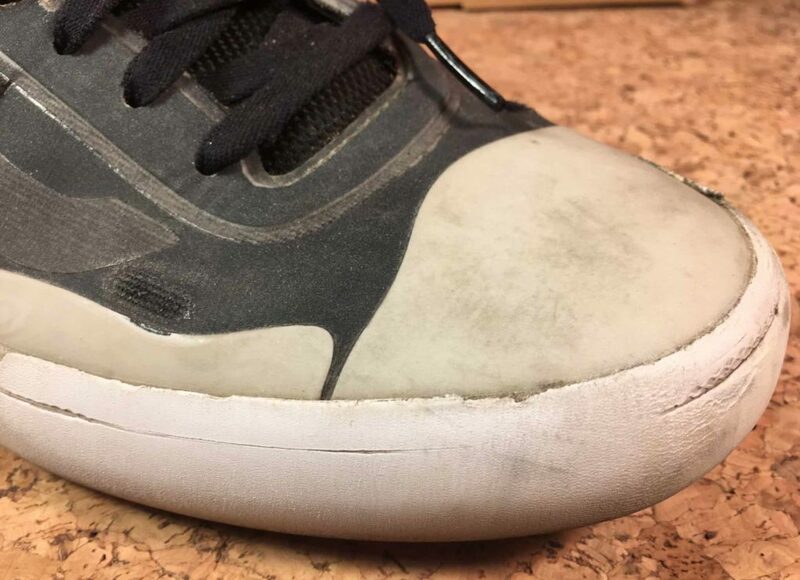 Aside from the soles wearing down, a little shoe-goo would patch the tiny ollie hole and keep the AV Rapidweld Pro Lite running a little longer. So the verdict. If you want a shoe that lasts and don’t mind spending a little more, buy this shoe. 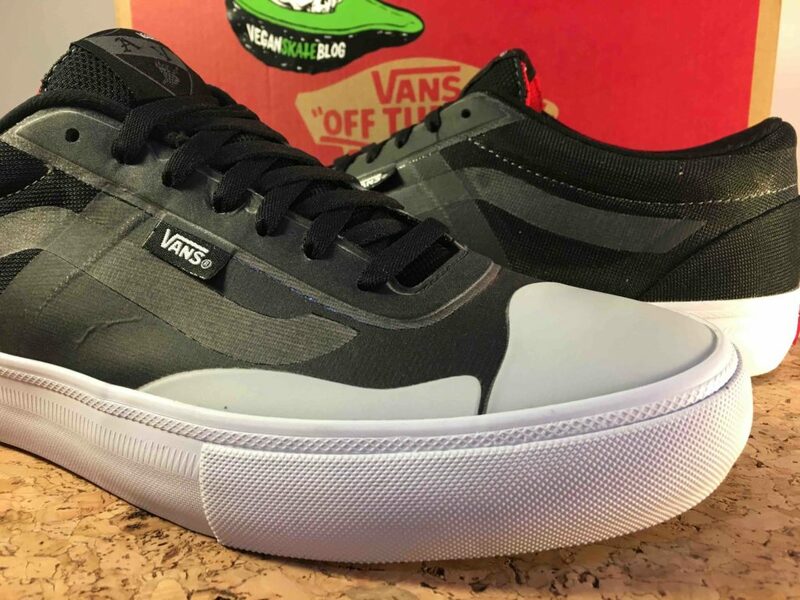 These are the longest lasting skate shoe we’ve ever seen produced by Vans! The fact that they have done this with out the use of animal materials is just a sign of the future things to come from the industry. The fit is nice, room in the toe for good movement and a solid fit on the heal. Break in period, took about half a day of walking around in them. The first skate was a little awkward but once broken in, solid. Usually when we get promotional shoes, we don’t get extra laces, thats fine but for $90 lets hope two sets are in the box. The only real gripe about the shoe is the smell. After awhile they smell, and they retain the smell. Perhaps this is a personal issue, but with other shoes, they have not smelled so bad. Often synthetic materials retain foot odor in pockets of material that would otherwise escape and defuse in a canvas shoe. Well, not here. Keep them outside the bedroom door. All that said, get yourself a pair and they will likely last twice as long as your average skate shoe, vegan or otherwise. For the life you’ll get out of these, it’s like buying two or three pairs of shoes in one. Check your local skate shop, we know DLX in SF and Uprise in Chicago have carried this model. And don’t forget, the Lite is Vegan. If its just the Pro without “Lite” at the end, it is made of animals.